On November 28, 2018, associate professor Zborovskaya T.V. 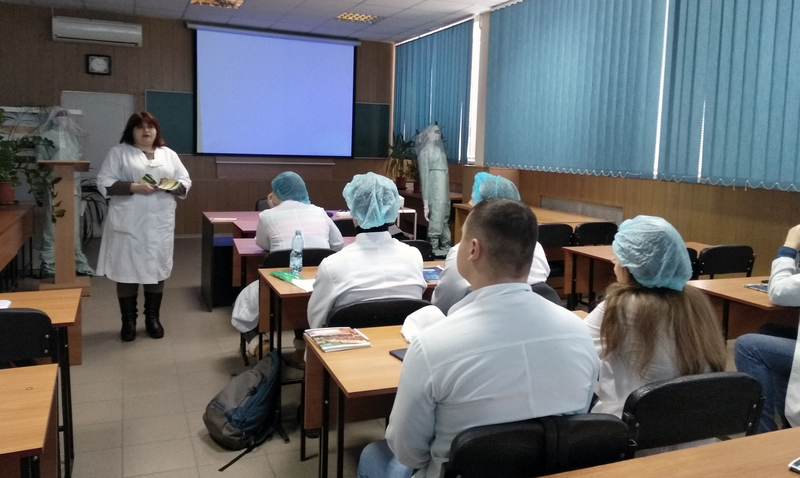 from quality management department conducted promotional work with students of the specialty “Technology of medicines” for expanding their professional opportunities through training in the specialty “Management” by the educational program “Quality, Standardization and Certification”. Future pharmaceutical industry specialists have shown a keen interest in quality management issues and are interested in offering a second higher education to improve their professional level. We are hope that our information will allow us to expand the choice of possible ways of professional growth and will positively influence the development of the pharmaceutical sector. We are waiting for you!! !